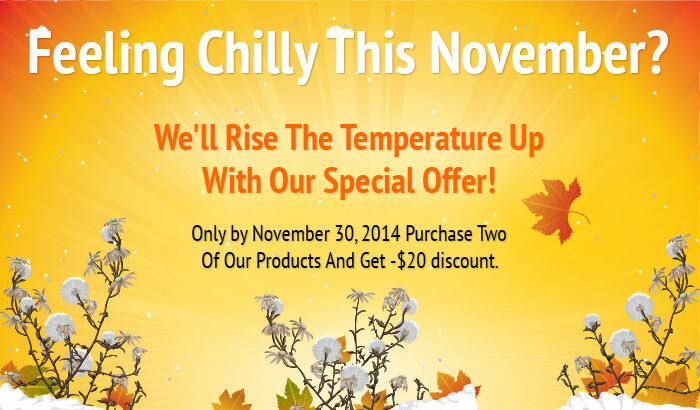 Home » Company News » Autumn 2014 Special Deals! Interested in a couple products we offer? The time to get them couldn’t be more perfect, as only by the end of Autumn 2014, you get a -$20 DISCOUNT when purchasing two and more products from our store. The discount IS NOT applied for orders with two products where one of them is Installation service. Don’t postpone your purchase and don’t miss the offer, as believe me or not, on December 1st, it’s over. What does Installation Service cover?